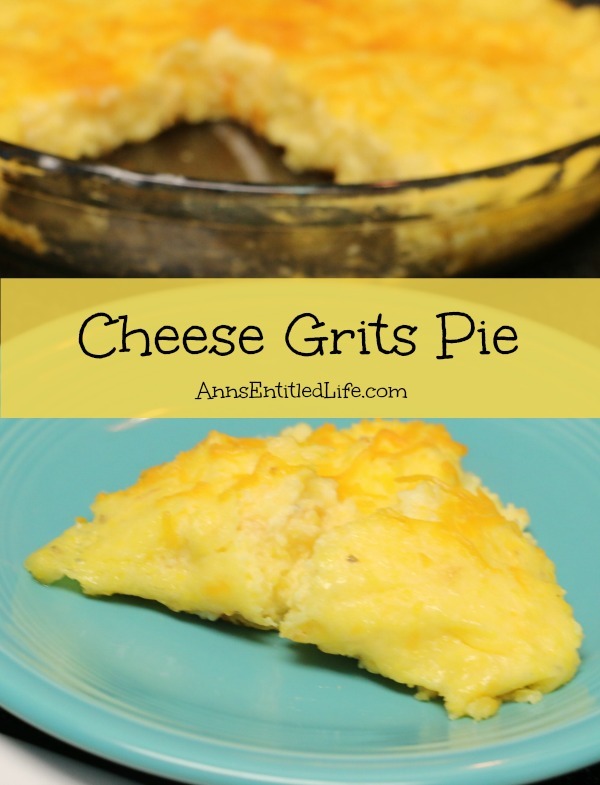 Easy-peasy cheesy grits… in a pie! 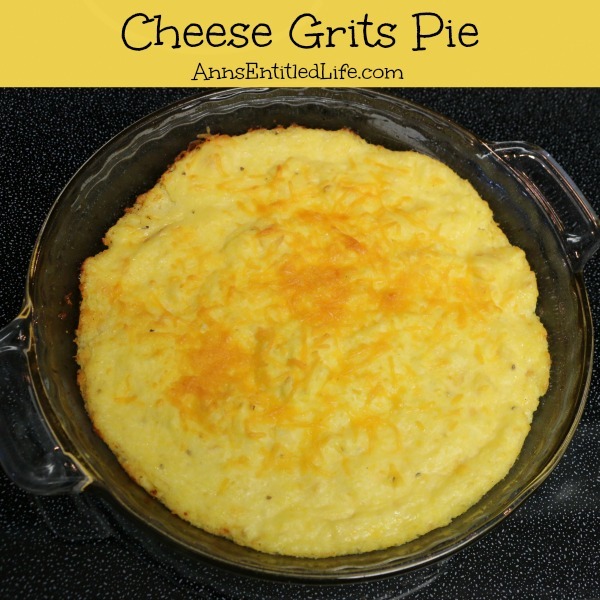 Try this tasty and unique cheese grits pie for breakfast or as a dinner side dish. Totally delicious. • Grease a 9″ glass pie plate with bacon grease, set aside. • Combine water, milk and grits in a saucepan; bring to a boil over medium heat. • Pour ½ cup grated cheddar cheese and slightly beaten egg onto the grits; stir thoroughly. • Pour grits into the prepared pie plate. • Top with remaining cheddar cheese. • Bake at 350° for 30 minutes or until lightly browned. 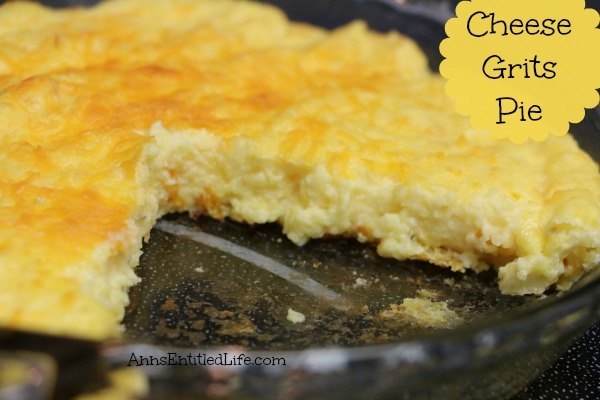 • To print the Cheese Grits Pie Recipe Recipe, click here. One of my very favorite “southern” foods is grits, and if they are cheese grits, it is even better!! I absolutely adore cheese grits. So when Hubby offered to make a cheese grits pie, I was all over that proposition! These are fairly mild, not heavy on the cheese (believe me, I’ve had cheese grits that have been more cheese than grits), and very easy to make! The clean-up (my contribution to this recipe) was simple and non-sticky. The leftover are delicious!